i decided to put OPI Shatter The Scales over OPI My Boyfriend Scales Walls... the contrast is really nice! this is the crackle offering from the 2012 Spider-Man collection. it's a really beautiful forest green with a lighter green shimmer. it cracks really nicely and i love the sparkles! 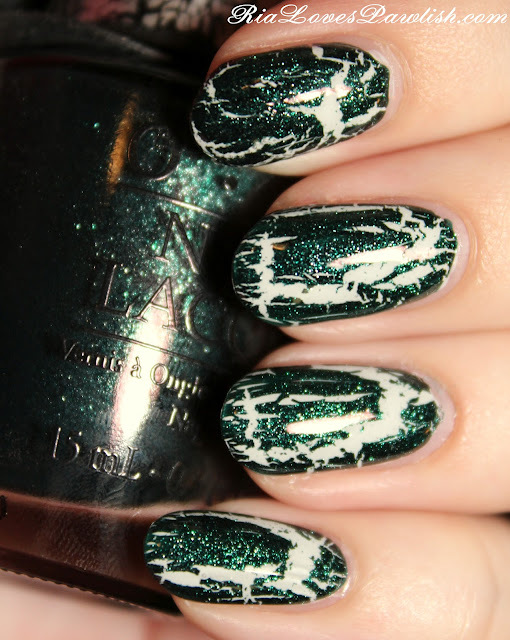 i added two thick coats of Seche Vite to finish off... i think shatters look best with the thick nail effect.